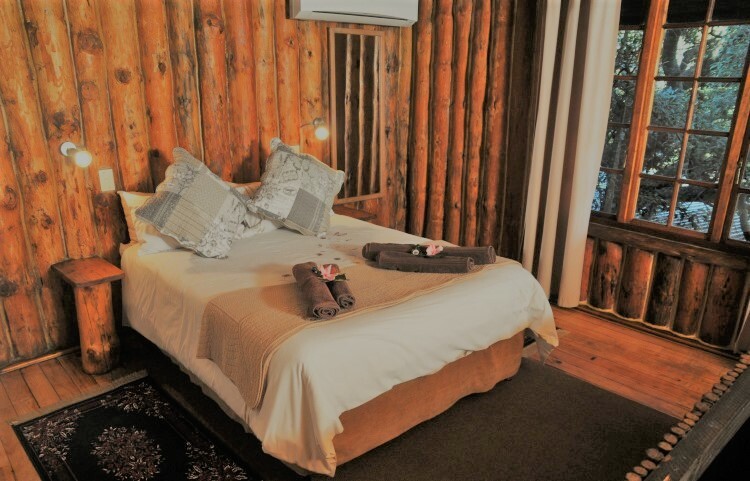 Drift away into the peace and tranquillity of this secluded self catering log cabin which offers the perfect setting for a romantic breakaway. 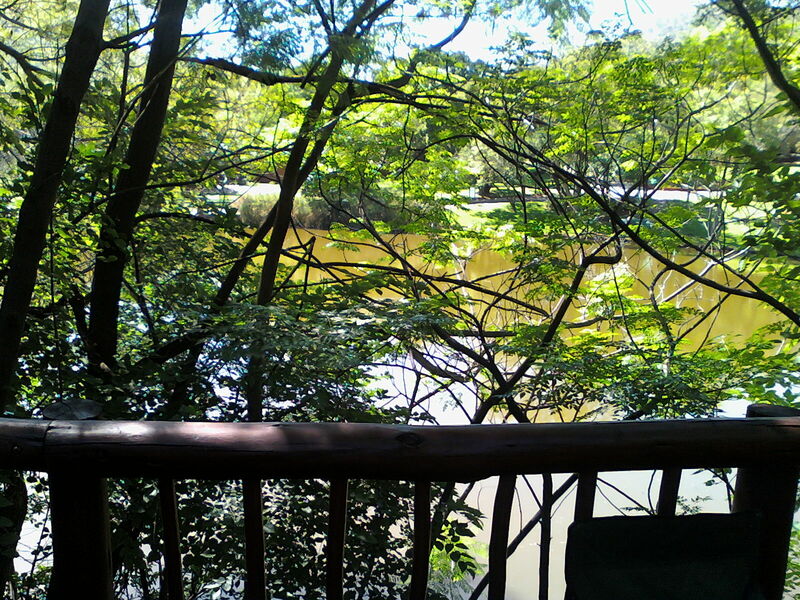 Surrounded by dense bush land with a private deck that overlooks a picturesque pond in the front. 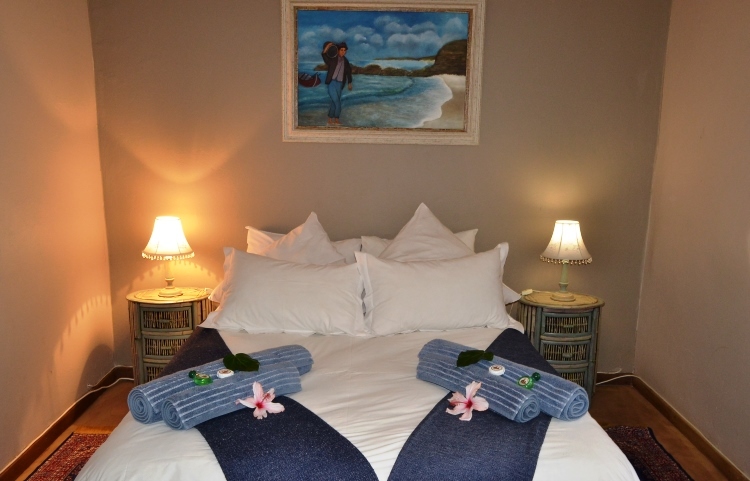 Two on-suite bathrooms include an antique bath tub, a shower and separate toilets. 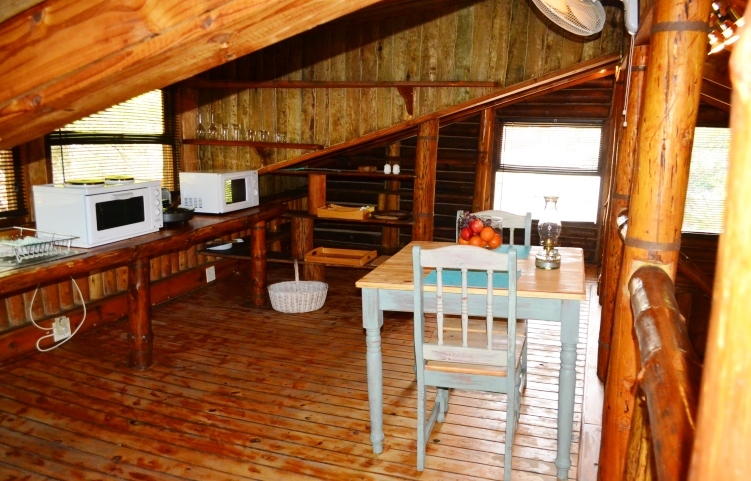 The kitchenette has all the necessary utensils for basic cooking including microwave,stove, fridge and electric frying pan. 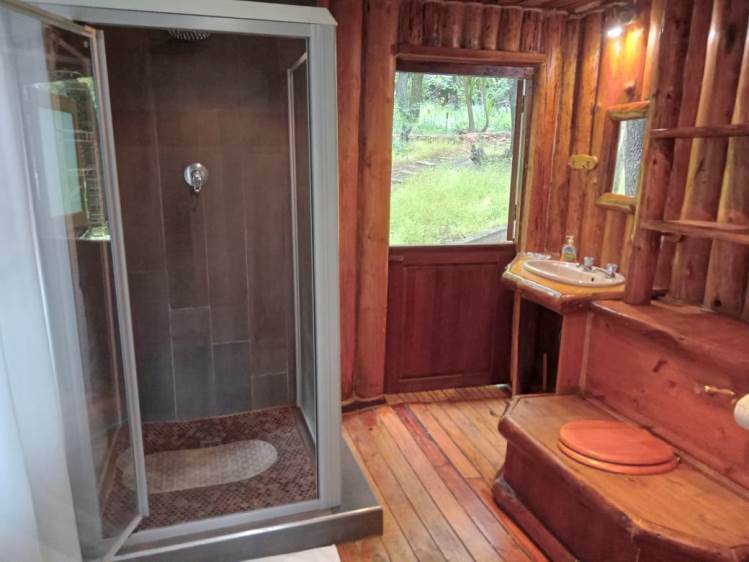 (Bring own swimming towels). 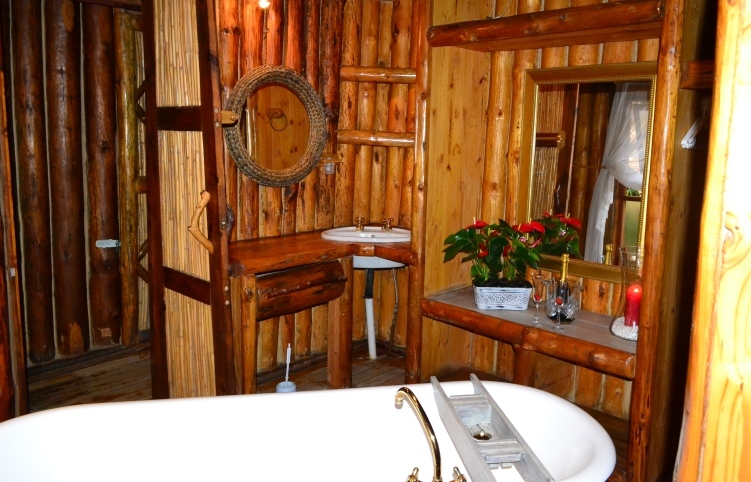 One of the en-suite bathrooms in the Romantic Log Cabin features an antique style bath tub. 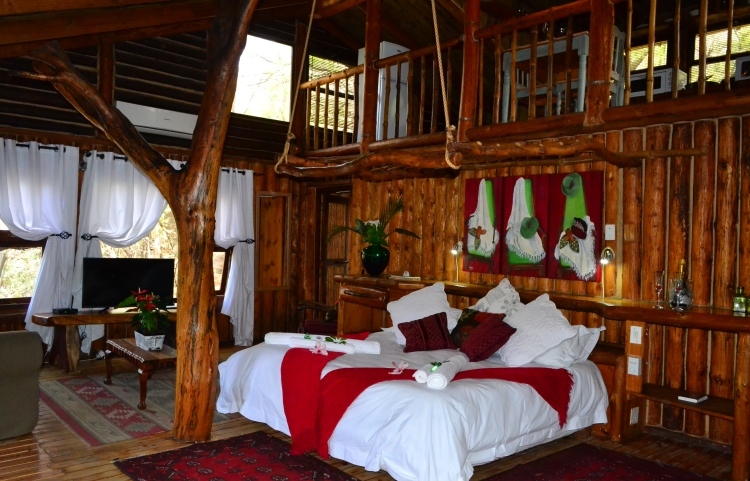 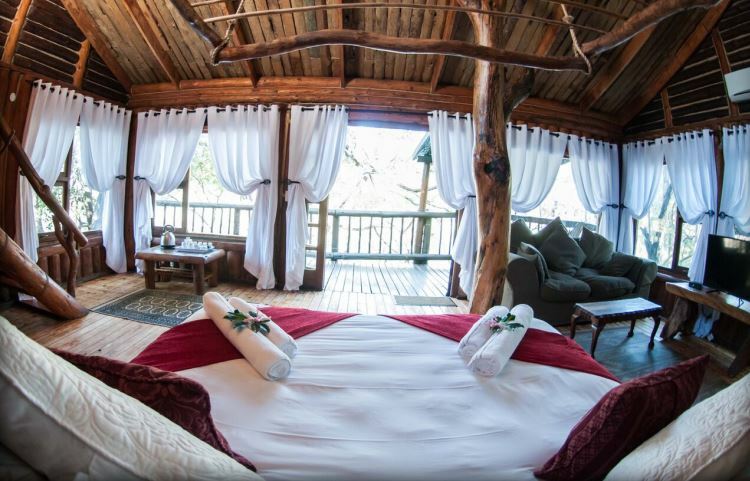 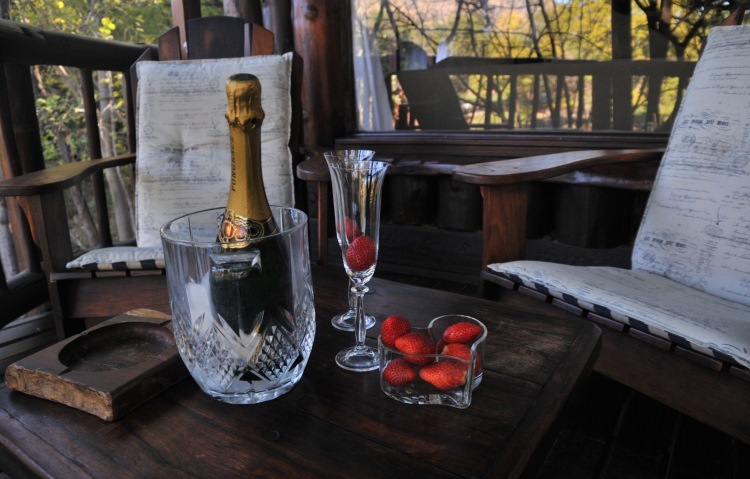 Whether you are looking for romantic accommodation for couples in the Gauteng area or just a romantic weekend getaway, this self-catering unit has it all. 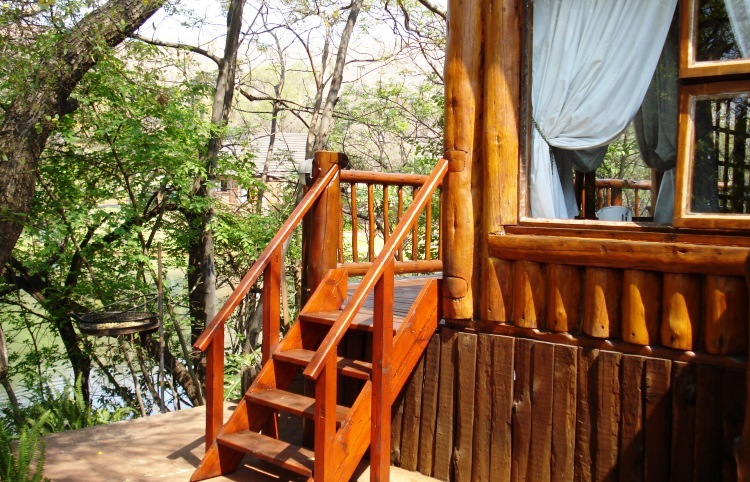 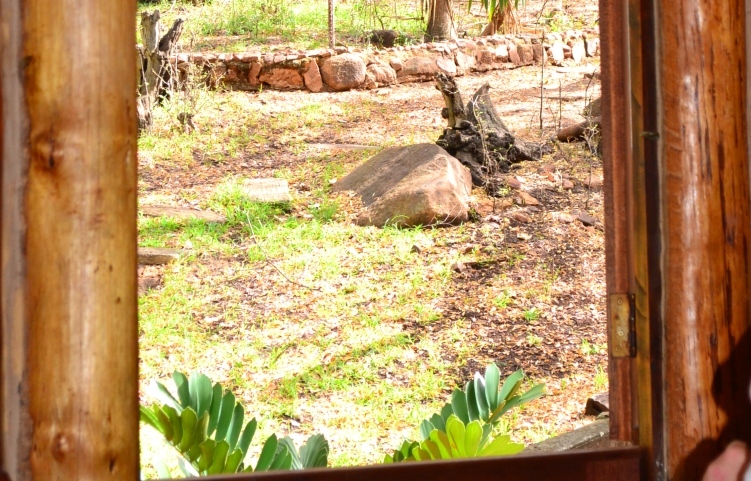 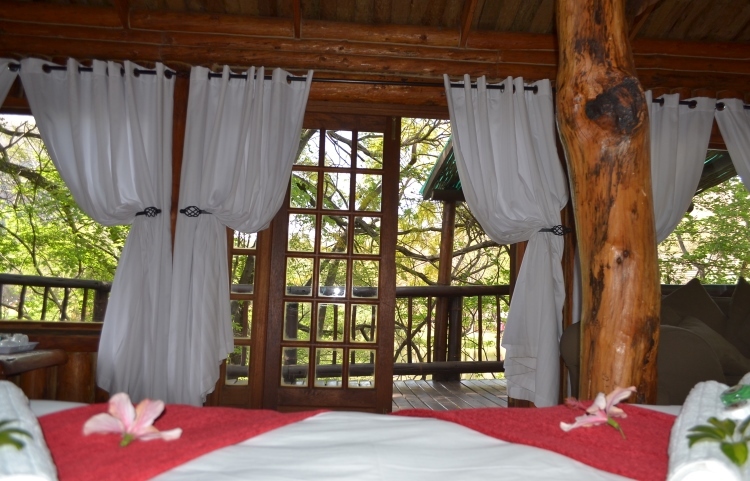 Two Bedroom Unit - One Level This secluded family cottage is a fully equipped self-catering unit with a private patio and braai overlooking the pond.